(New York-WABC, November 18, 2003) — In a four-month investigation that reaches from the sands of Iraq to the halls of the Pentagon, we found that weapons given to tens of thousands of U.S. soldiers may not work in the desert. All because of a defective product. And it could be putting American troops at risk. The Investigators’ Jim Hoffer is here with his findings. The key to surviving any war is to have a weapon that works. To that end a good, reliable gun lubricant is critical. they needed it the most. A Purple Heart does little to heal the aching heart of a mother who’s lost her son to war. 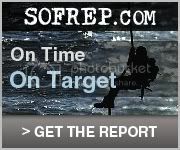 The report suggests their weapons failed perhaps because of “inadequate individual maintenance”. In other words, the Army says that the soldiers may have neglected to clean their guns. Kovacic, a retired lieutenant colonel who trained thousands of soldiers for the Iraqi invasion, says this grieving mother’s suspicions are right on target. Col. Kovacic contacted Eyewitness News outraged that the military was equipping soldiers with a government-issued lubricant known as CLP. 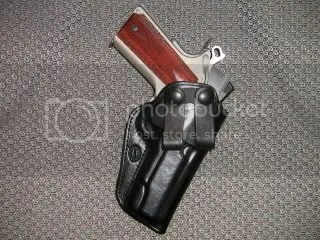 Corporal Steven Gentle, Montclair NJ: “I used it as little as possible. In telephone conversations and e-mails from soldiers we heard numerous complaints about CLP. One sergeant told me it is a commonly known fact that the military-issued gun lubricant doesn’t work in the desert. We’ve learned that some soldiers have been so desperate for a lubricant that works they’re writing their families for help. Art Couchman sent his son, a soldier in Iraq, a commercial lubricant called Militec. 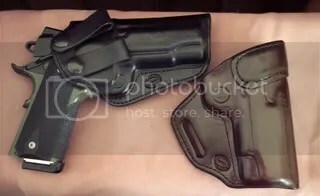 A firearms trainer for police in New York, Couchman became quite concerned when his son told him that the military-issued lubricant attracted dirt and sand to his gun. That’s when Couchman sent him bottles of Militec. 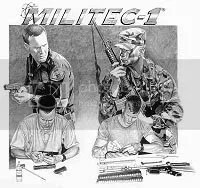 Even that “lessons learned” report put out by the Pentagon states that soldiers considered “Militec to be a much better solution for lubricating weapons” than the military’s CLP. And now many are questioning why just as the war began, the military cancelled all troop orders for Militec. The commercial lubricant’s inventor says he knows why. Because the military invested millions of dollars developing CLP, Brad Giordani says Army bureaucrats feared their product would be outshined. The Army declined an interview but in a statement to U.S. admits that in the middle of the war, it stopped filling orders for Militec. It doesn’t explain why. The Army says Militec is now available, and further states that because of “mixed reports on the performance … of lubricants” it plans to “rapidly evaluate … and test” various products for possible future use. Colonel Kovacic says Militec is already proven in desert combat. And as long as CLP remains the government product of choice, he says, then that’s what most troops will get, leaving the better lube on the shelf and soldiers lives on the line. For nearly seven months, the military blocked soldier’s orders for the rival Militec. Only in October, in the middle of our investigation, did the Army again begin to fill orders for Militec. 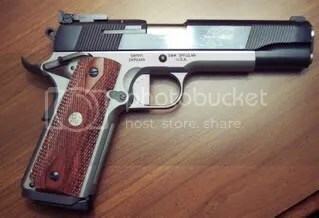 Let me say that cleaning a 1911 is basic. 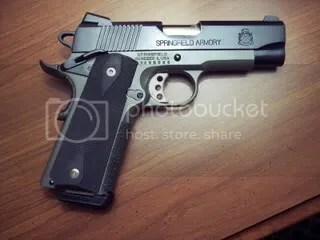 You remove the slide, recoil spring and grips. Clean these parts as usual. After cleaning you will use Militec to lube the slide rails on the frame. Three drops on each side will do it. Then add a small amount of Wilson gun grease on each rail. One small drop on each side will do it. When applying the Militec place one drop on the front edge of the slide rail, one in the center and one at the rear. Place one drop where the trigger attaches to the frame. Place one or two drops on the barrel and spread to cover the entire surface of the barrel then wipe any excess off. You will also place one drop on the engagement lugs on the slide. 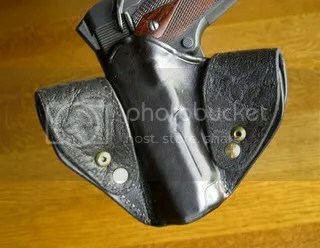 You will also use a clean patch to apply a small amount of Militec to the interior of the barrel. Do not leave a great deal in the barrel. While Militec will not effect primers it’s best to be cautious in this area. Also place one drop on the interior of the barrel bushing. This is all you need to do in order to complete the lubrication. Then re-assemble as usual. Many of us have been cleaning our guns the same way since we were kids. Take out the Hoppes #9 run a bore brush through it a few times then run a swab through a time or two and call it done. 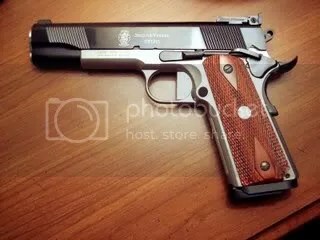 Well if you depend on a 1911 or any other handgun for your defense that’s not enough. 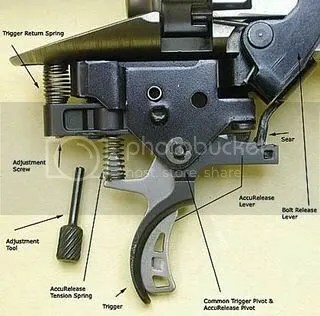 Speaking for myself I learned several years ago to keep up with trends in companies trying to improve the way we clean our guns by creating products which in some cases not only cut down the time we spend cleaning but do a much better job of it. Not all new products are good but that’s not the point of what I’m writing. I want to pass along several chemicals from two companies who have excelled at putting products out to we consumers as well as military and federal agencies. 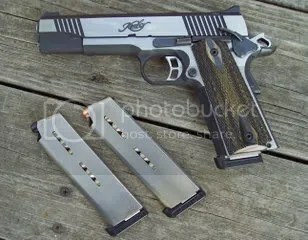 I believe these are the best products to use not only for the 1911 but precision rifles as well. With permission of Lanigan Performance Products I will give you all the information available to backup my ascertion that these are the best chemicals for cleaning firearms currently available. Before I start this part of the presentation I would like to pass along some information for those of us in military or police service. Militec has kindly and most generously made available samples of the product line free of charge to military and police personel. When I say samples I mean several months worth of product! This is a very patriotic, Christian company I can’t commend enough! This is what Militec and Lanigan recommend as the proper use of Militec Lubricant. A little later on I give you the reasons why this is the lube to use above all others! I start with using Lanigan products KG1 to remove the usual lead from the barrel. I run the bore brush through the barrel 12 times. I then use two large patches to run through the barrel. Next I use KG12 to remove the copper folowing the same procedure. About every 3rd cleaning I will use KG 2 to polish the inside of the barrel.I do mean polish the barrel. It glows when you are done! On my Savage 10FP and DPMS Lo-Pro I use all three products each cleaning since polishing the barrel interior does improve accuracy. Does any of this harm or remove material from the barrel? Simply put no it does not. I did a little test. I used the old method of cleaning followed by a cleaning with Lanigan products. It was almost like I hadn’t even cleaned with the usual cleaners!!!! I was not only amazed but I was sold! After cleaning I follow the instructions below to apply Militec to the weapon. 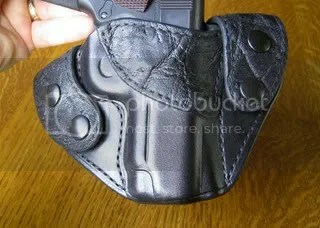 I use Militec both on critical surfaces inside the gun but also on the exterior. On the exterior after that first application it looks wet but it’s dry to the touch and makes the surface of the metal look great. It will not transfer to your clothing. One of the most important factors is it is not toxic like some cleaners and lubricants. The smell is also pleasent. I hope this information is helpful. I am NOT associated in any way with these companies just an end user that believes in these products! MILITEC-1 Synthetic Metal Conditioner has the unique ability to create a complex, molecular compound within the surface of heated gunmetal. This causes MILITEC-1 to become part of the metal, not merely a temporary coating or a boundary film. There are two main characteristics of this safe new compound. First, it seals and conditions the metal by stiffening (not hardening) the metal surface. Second, it makes the gunmetal self-lubricating under all environmental conditions. After a complete application, a MILITEC-1 conditioned firearm is self-lubricating. Self-lubrication gives the firearm’s gunmetal the dry lubricity that is required for sustained fire under all environmental conditions. If exposure to dust, sand, or extreme cold is a concern, all excess MILITEC-1 must be wiped away, leaving the firearm’s surface metal clean, dry, and constantly lubricated. Please note: Complete corrosion protection and self-lubrication is attained only after both Step One and Step Two (below) are completed. To take full advantage of MILITEC-1’s unique properties, start with a clean firearm. Although MILITEC-1 contains a mild detergent that will help with subsequent cleaning, there are no solvents or other hazardous materials in MILITEC-1, so it cannot remove old caked-on fouling and build-up from other lubes. Thus, if a firearm is dirty, you must clean it with a solvent before you proceed. Normal fieldstrip cleaning should be perfectly adequate. If possible, remove the handgrips, clean and prepare. How does MILITEC-1 compare with other firearms lubricants? Other lubricants form a temporary coating on the surface of metal – a coating that can dry out or get rubbed off, leaving the weapon unprotected. In contrast, MILITEC-1 actually becomes part of the metal, not merely a film on the surface. Apply a light coat of MILITEC-1 to all metal surfaces, including the bore. On exterior surfaces, burnish rapidly with a patch. The heat and fiction of firing will activate MILITEC-1 on inner surfaces. Do I have to get the old lube off first? Some lubes can leave a residue that may partially block MILITEC-1’s effectiveness. If you’ve used older lubes extensively, or if your firearm is very dirty, it’s a good idea to clean it thoroughly with a good quality solvent before your first application of MILITEC-1. 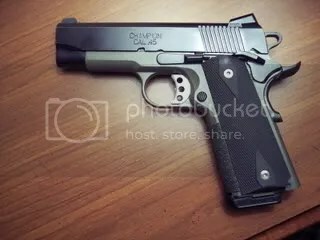 How do I clean my gun when I use MILITEC-1? Should I still use a cleaner or solvent? Many folks throw their solvent away after using MILITEC-1. When MILITEC-1’s chemical action seals the metal, fouling and debris don’t stick. Firearms clean up beautifully using only a cloth lightly dampened with MILITEC-1 and a patch down the bore. How does MILITEC-1 work with stainless steel? Great! MILITEC-1 has been used on stainless steel weapons for many years with complete success. Will MILITEC-1 harm the bluing on my firearm? No! If anything, MILITEC-1 will add new luster and depth to the finish. How does MILITEC-1 affect plastic and composite frames and grips? MILITEC-1 has been tested and proven completely safe for all plastics, composites and wood finishes. What happens if I get MILITEC-1 on my ammo? MILITEC-1 will not harm your ammo. Why does MILITEC-1 cost so much? It doesn’t! MILITEC-1 is extremely concentrated. A single 1 oz. bottle of MILITEC-1 usually lasts far longer than a 4 oz. bottle of other lubes. How does MILITEC-1 work with black powder? Just fine. To get maximum benefit, fire at least one shot with a slightly wet coating of MILITEC-1 in the bore, then return to normal dry-bore conditions. Will it damage primers like WD-40 does? Absolutely not. MILITEC-1 has no effect on primers. How will MILITEC-1 work in extreme weather? MILITEC-1 has been tested extensively in the sweltering jungles of Panama and Colombia, the frigid winters of Alaska and Minnesota, the dry blowing dust and sand of Desert Storm, and the soggy rain of Great Britain, Puget Sound and New England. In all these conditions, MILITEC-1 weapons fired first time, every time. Is MILITEC-1 used exclusively on firearms? No! MILITEC-1 can be used with all types of machinery. Typical uses include both two- and four-cycle Diesel and gasoline engines of all sizes; automotive and industrial transmissions and differentials; compressors of all types including refrigeration; assembly-line speed reduction gears; electric motors; pumps; etc. It is also an excellent cutting fluid for the most difficult lathe and mill work. From nuclear-powered submarines to dental drills, rock crushers to bicycles, air conditioners to sewing machines, MILITEC-1 literally works anywhere two pieces of metal rub together. Yes. Our MILITEC-1 GREASE starts as a blend of the very finest polymers, anti-wear agents, tackifiers, highviscosity base oils and rust inhibitors. Then we add 15% MILITEC-1 by weight. The result is a multi-purpose automotive and industrial grease second to none. MILITEC-1: The Only Proven Synthetic Molecular Bonding Technology for Today’s Military and Law Enforcement Weapons. MILITEC-1 is being used by over 100 military organizations. MILITEC-1 is approved and is being used by the many Federal, State, and Local Law Enforcement and Correctional Agencies. MILITEC-1 has National Stock Numbers (NSN’s) and is also listed in the FEDLOG. MILITEC-1 can be ordered through the Defense Logistics Agency (DLA). Operation Enduring Freedom Company A.
KG-1 was initially formulated for exclusive use by a military group to remove carbon buildup from their weapons. Unlike other Cleaners, KG-1 contains no ammonia and is pH neutral. KG-1 is ideal for removing carbon from black powder rifles. Originally developed to maintain the bore integrity of sniper rifles, KG-2 is being introduced to the public to provide shooters with a product that will actually improve the condition of the bore while cleaning it. Like KG-1, KG-2 contains no ammonia and uses a mechanical method to remove the worst of copper, lead and powder residue. KG-2 can be used when shooting numerous rounds in between cleanings or as a bore conditioner for those weapons needing extra care. KG-2 is an ideal product for fire polishing (A technique finer than Fire Lapping). KG-3 is a non-chlorinated ozone safe formula used to remove the residue loosened by KG-1 and KG-2 and is also used for cleaning and decreasing parts. KG-3 contains a special formulation of fast drying, water-displacing solvents which will rapidly cut through oil and grease, leaving no residue. During the 2004 Shot Show Lanigan Performance Products asked KG to develop a copper remover for Military Howitzers. They simply wanted a better product then what was being sold on the retail market. KG, although developing enchants to remove copper, went against the grain and company philosophy, did set out to develop a chemical means to remove copper from these large bore guns. One of the biggest barriers to hurtle was the specifications called for in the initial request. The product had to be environmentally friendly, not attack any other metals and also needed to be user friendly (smell and toxins). The result of efforts was “KG-12” a copper remover which will remove the toughest of copper fouling without harming any other metals. There is no need to “neutralize” KG-12 like you do with other Ammonia based products and no need to “get it out quick” like Ammonia based enchants. KG-12 contains no Ammonia. KG-12 is water based. KG-12 will remove copper fouling fast. KG-12 was not developed to replace KG-2; rather KG-12 is used by those who prefer etchants over mechanical means of removing copper. When KG-12 is used, KG-2 is used as a bore polish. 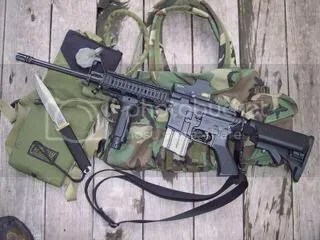 This DPMS LO-Pro is a sniper version of the M4 carbine. 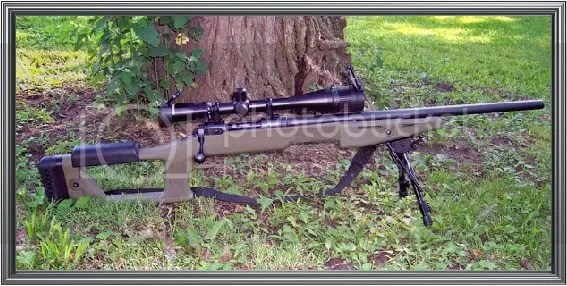 It has a 16″ Douglas match barrel.I topped it off with a Leatherwood ARTII scope. ART stands for automatic ranging and tracking. Believe me it does. It would take to long to explain it all but basically you set the cams at the rear of the scope for the type of ammo used. Lock the cams in place then use the markings in the scope view and arrange the magnification for the proper distance.I also added a Magpul MIAD grip along with a Badger ordinace charging handle to make it easier to charge the chamber without the scope being in the way. 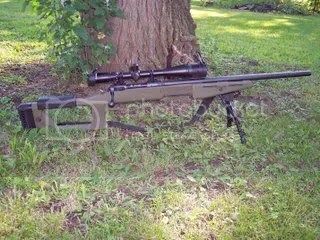 This rifle will shoot 1/2 inch groups at 100 yards. Very enjoyable to shoot. DPMS makes a great rifle. I built this one from a kit. All DPMS parts of course. I added a sturdy stock as well as a Tango Down battle grip, EoTech holographic site, SpecterGear single point sling, Surefire light and Yankee Hill light mount. I put the carbine length aluminum rail forend on also. I put a chrome bolt group in as well as a chrome lined barrel. I put Magpuls on all my magazines and last a vertical foregrip. It’s very fast on target with the EoTech sight.